The iPhone’s iOS was the clear winner when it comes to smartphone usage in countries where English is the first language, as well as Japan and Sweden, according to new data from DeviceAtlas. There were also gains for iOS in Canada, Egypt and Ireland. Elsewhere, Android enjoys a comfortable lead over the other OS options. The report revealed gains for Android devices of 13.6% in Malaysia, at the expense of iOS, which lost 13.8% of traffic share. 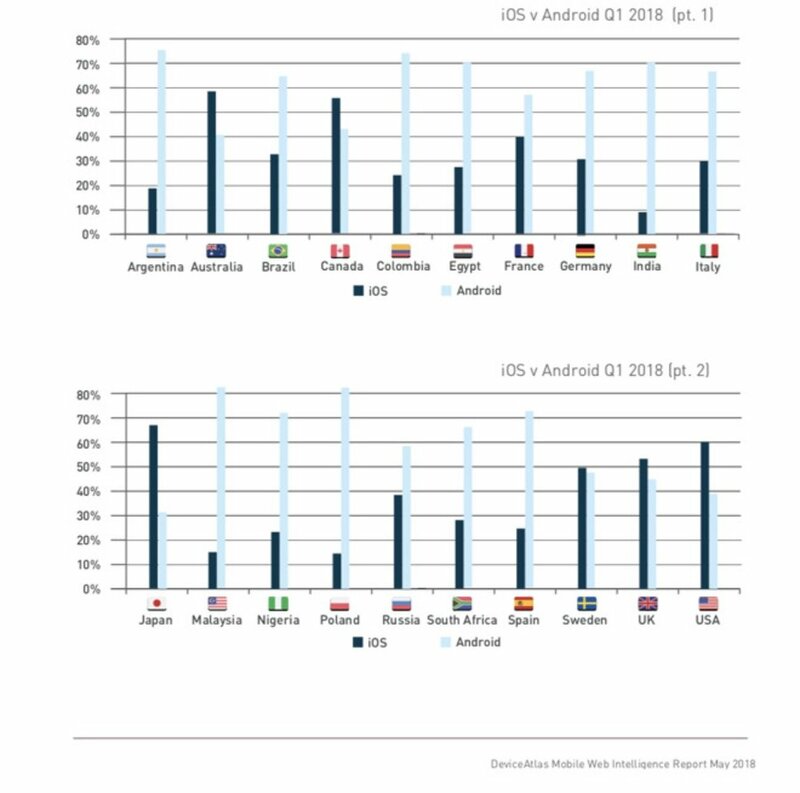 Android fared less well in Colombia, Spain and the USA. In India, both iOS and Android lost ground. DeviceAtlas says KaiOS, a new operating system, has cut into the margins of both incumbents in the country. This data is based on real website visits generated only by mobile devices in the first quarter of the year. The web traffic is sourced from a global network of websites using DeviceAtlas for content delivery and optimization purposes.